As more people face layoffs, pay cuts and just the increased expenses of every day living, they are also facing problems making their credit card payments. For many the first thought is bankruptcy but new laws enacted several years ago make that choice impossible for many people, especially those with good jobs and the means to pay. This leaves them with two options: contract with one of the credit card companies or work directly with the creditors. The question a debtor must first ask himself is, "What am I willing to do in order to fix my credit?" The answer to the question will provide the information a person needs to make the right decision. While working directly with the creditor is a good place to begin, there are several reasons you may want to choose to contact one of the credit repair services companies. • Creditors are less likely to negotiate with debtors especially if they feel the debtor has the ability to pay. Although credit repair companies charge a fee for their services, they are more likely to obtain a settlement with which the debtor can be happy. Not only that, but they are experienced in negotiations and have the time necessary to work with lenders until they can reach a satisfactory agreement. Quite often debtors become intimidated by their creditors and believe the option they offer is the only one available. 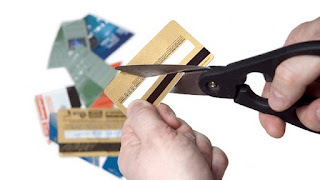 When they say, "Tell me how to fix my credit," and the creditor gives them only one option, they have no way of knowing other possibilities are available. How do you make the decision whether you should negotiate a settlement with your creditor or contract with an outside agency? The answer to that question is an individual one based on individual circumstances. If your account is already charged off, your account is more than likely in the hands of a collection agency. This means they are probably more open to accepting settlements than the primary creditor—sometimes as much as 70 percent off the balance. For most people there is the need to work with credit repair companies because there is more than one creditor involved, and the need exists to resolve rather substantial credit issues. It is much easier and less time-consuming to work with a credit repair services agency instead of having to contact each individual creditor. Working with an agency will also allow you the opportunity to make one payment each month; the agency will distribute those funds to the individual creditors. For many people this will solve much of their problem—at least those who defaulted on loans because they lost track of payments and when they were due. Make the decision that is right for you but do it with an open mind and after some careful research.